The Pixies are in the midst of some bass player-related turmoil, but frontman Frank Black has found an escape in the world of books. The singer-guitarist has signed a deal for the release of his own tome, entitled The Good Inn. 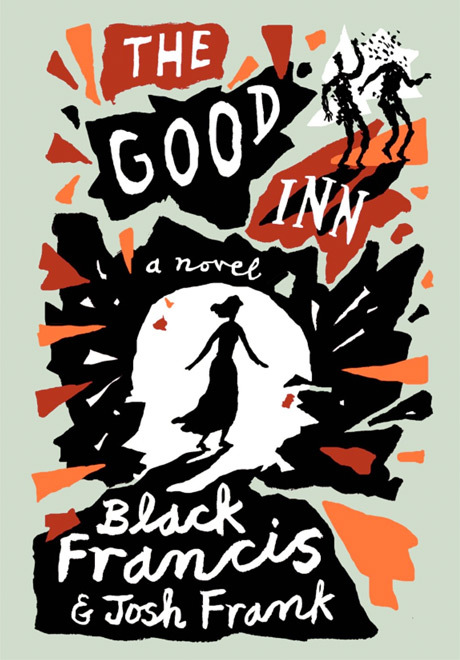 The Guardian reports that Black — billed here as Black Francis — is co-writing the words for the book, along with Pixies biographer Josh Frank. The story is described as "a fantastical piece of illustrated fiction based on a yet-to-be-written soundtrack to a movie that doesn't yet exist." It's apparently about a teenager called Soldier Boy who flees an explosion in France and "takes refuge in a secluded inn, where he finds himself centre stage in the making of the world's first narrative pornographic film." In the UK, it will come out as a graphic novel in May through publisher SelfMadeHero. It's being illustrated by Steven Appleby. A listing reveals that the North American edition will arrive on April 15 through HarperCollins imprint It Books. Interestingly, there's no indication that the North American version is illustrated; Appleby's name doesn't appear on the U.S. cover, which specifies, "a novel." The hardback tome is 128 pages long, and is available to pre-order.